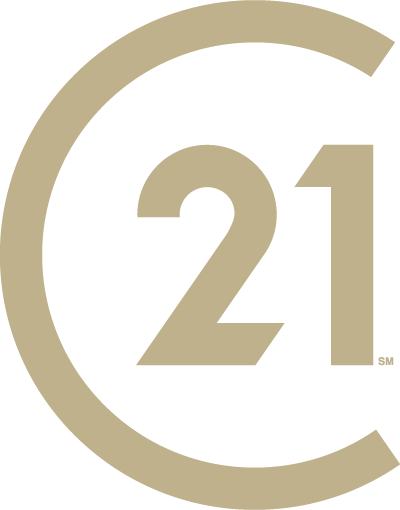 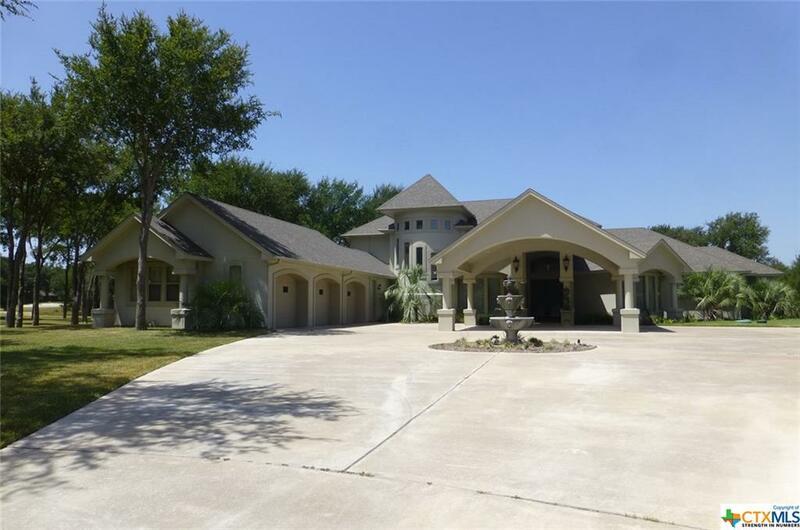 Set in the Mill Creek Golf Course designed by Robert Trent Jones! 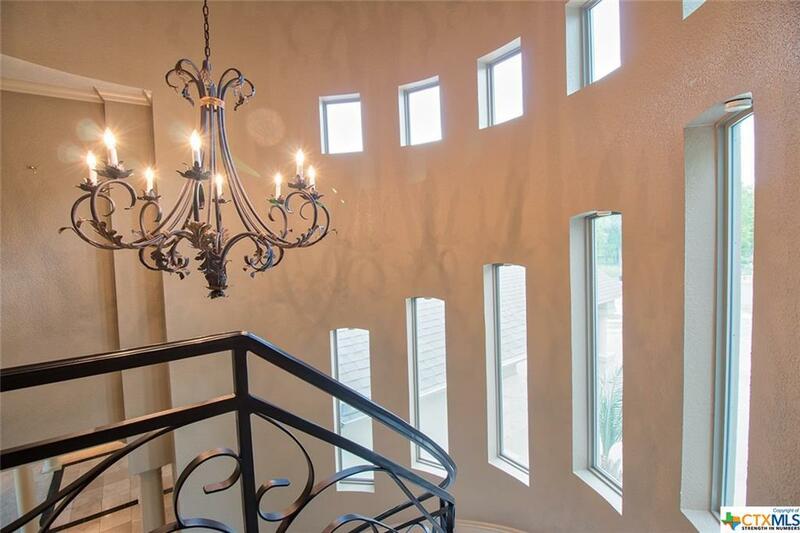 Sweeping views combine with dramatic architecture to create a dazzling home that is ideal for every occasion. 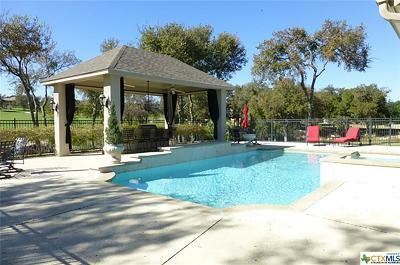 The Texas perfect backyard includes an in-ground pool with a covered outdoor kitchen overlooking it. 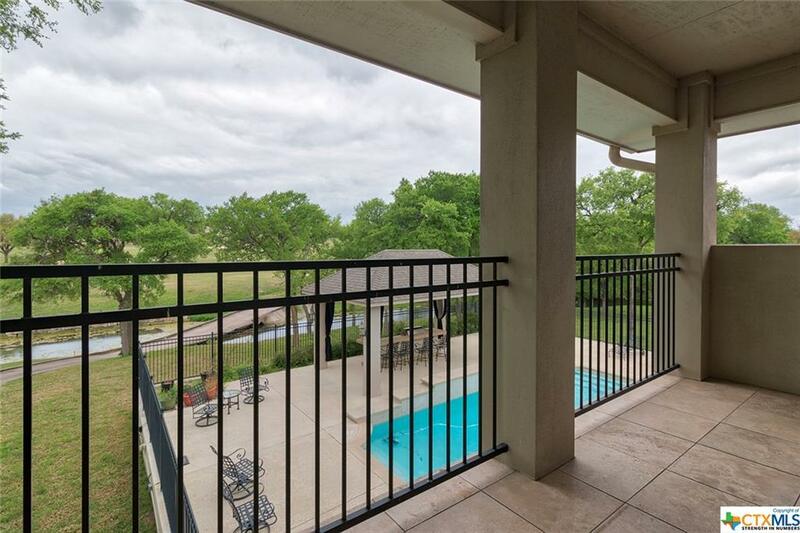 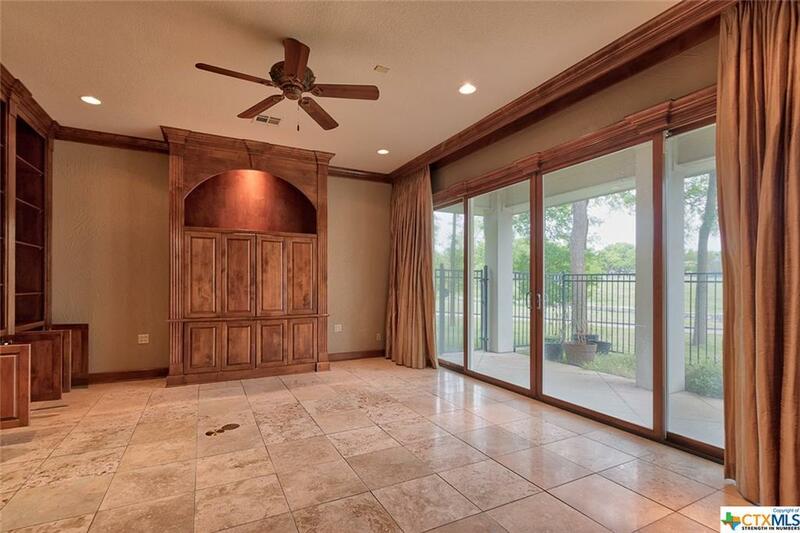 For cooler evenings, gather around the outdoor fireplace or firepit or just relax on the sprawling covered patio. 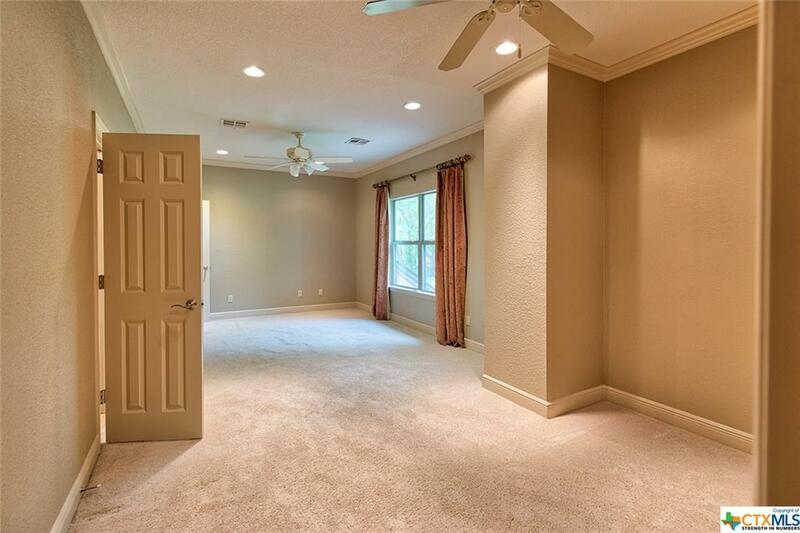 Architectural columns, high ceilings, recessed lighting and crown molding are just a few of the desirable amenities that make the interior shine. 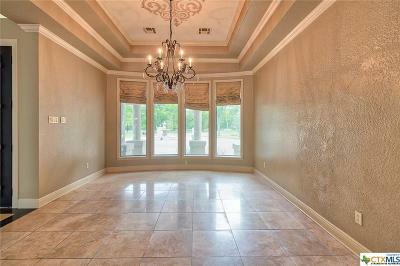 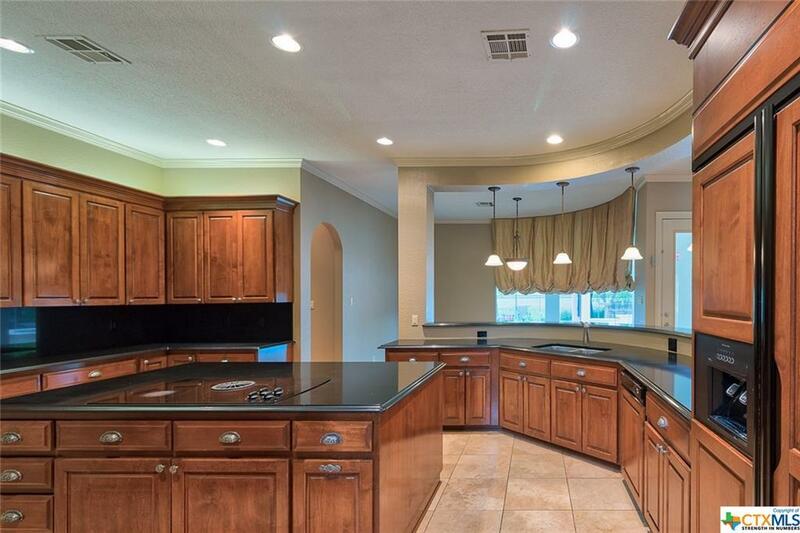 The elegant formal dining room has a triple step-up ceiling with crown accents. 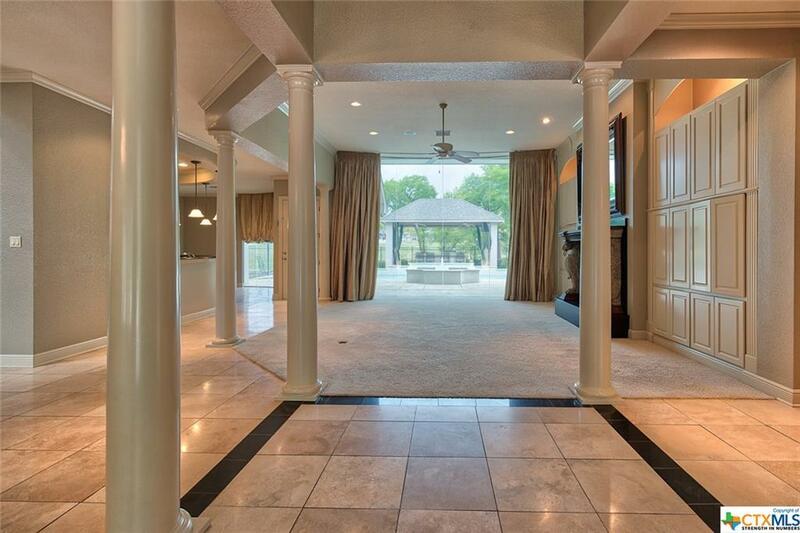 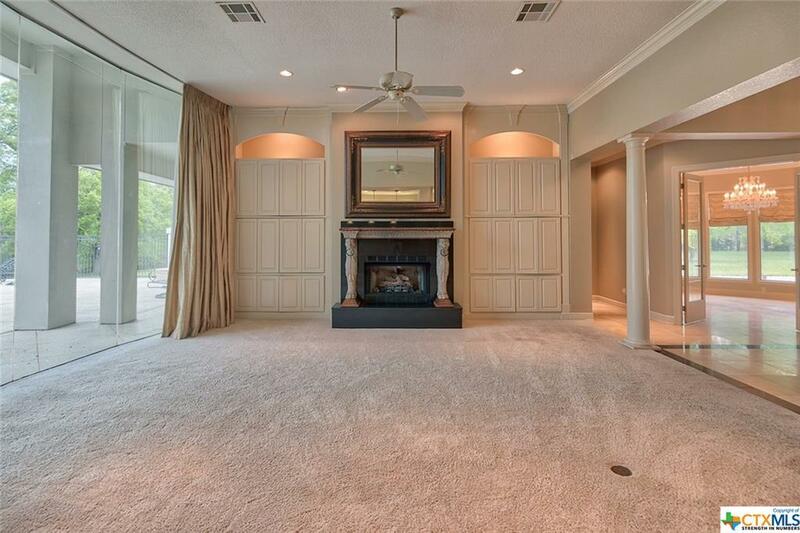 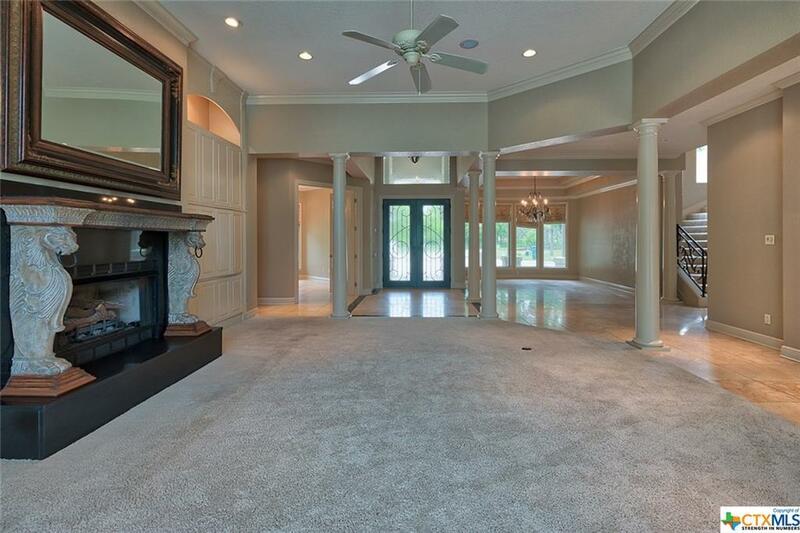 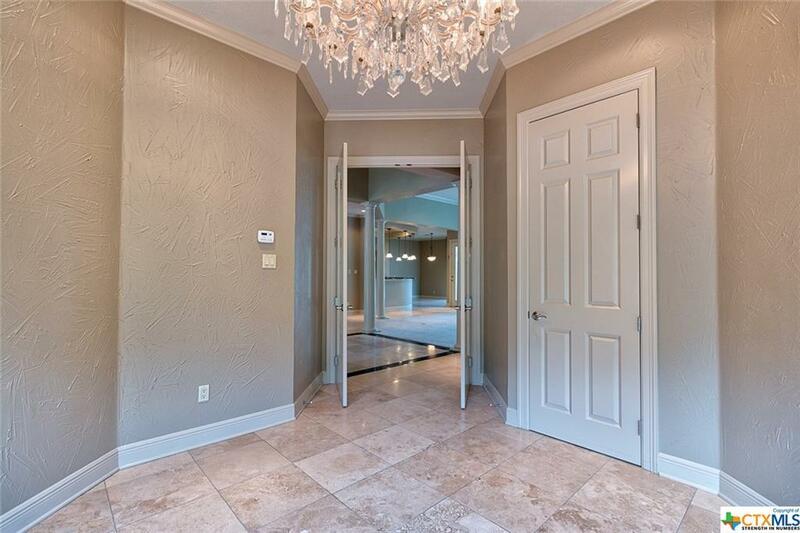 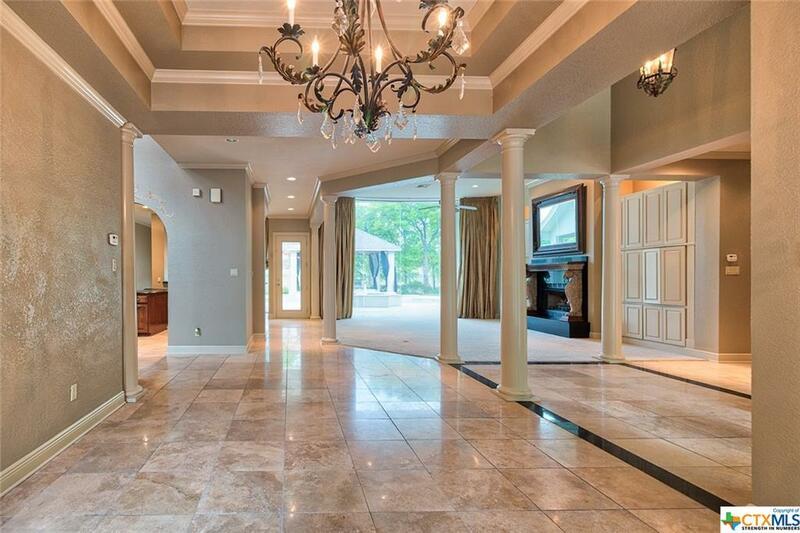 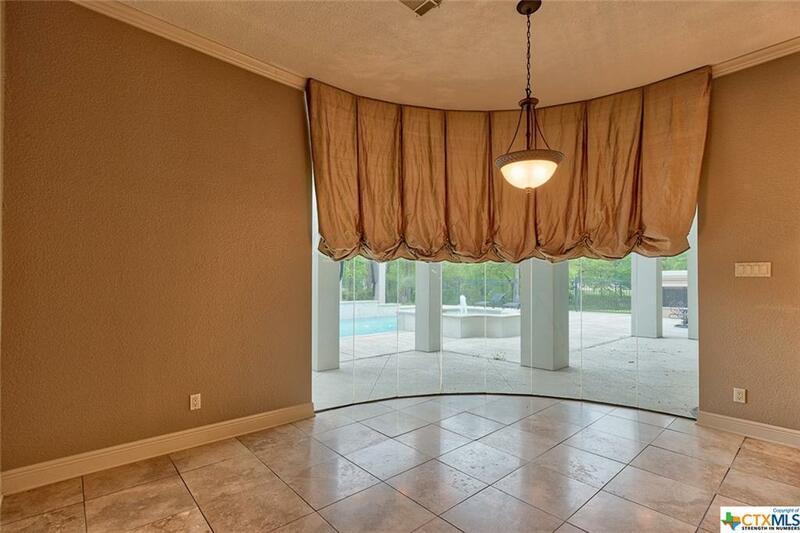 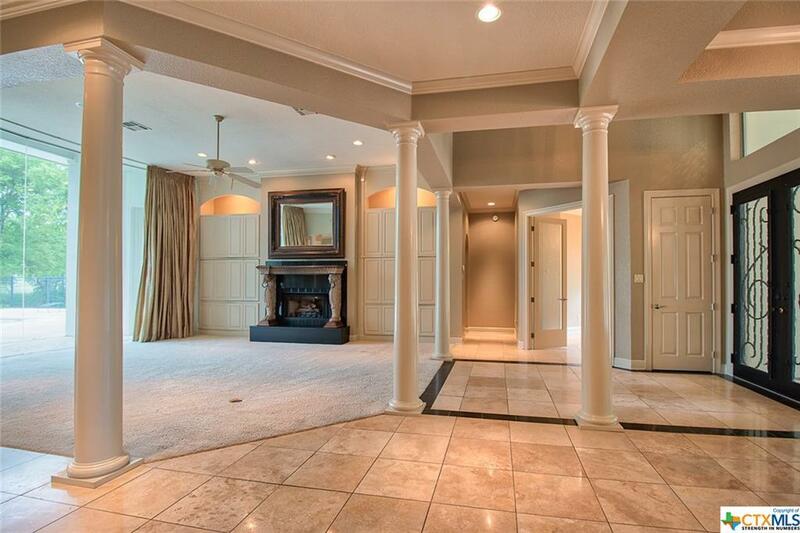 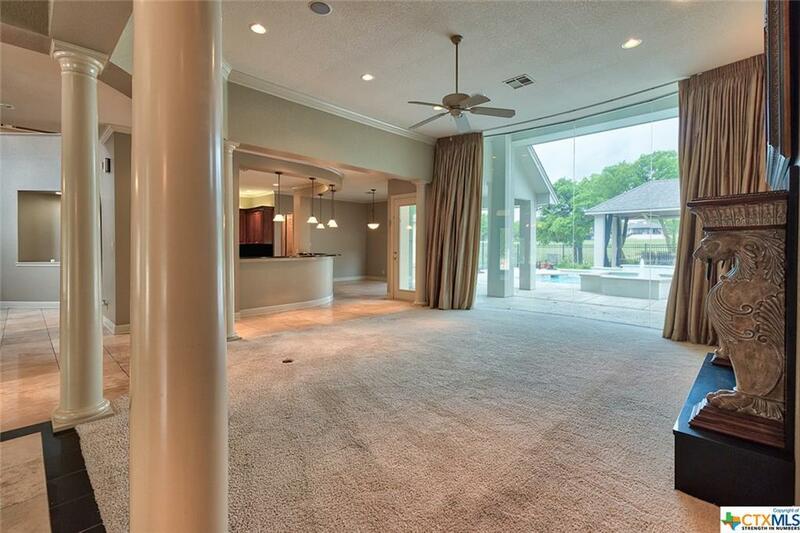 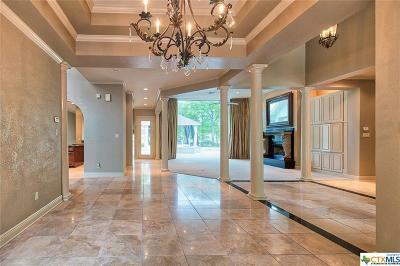 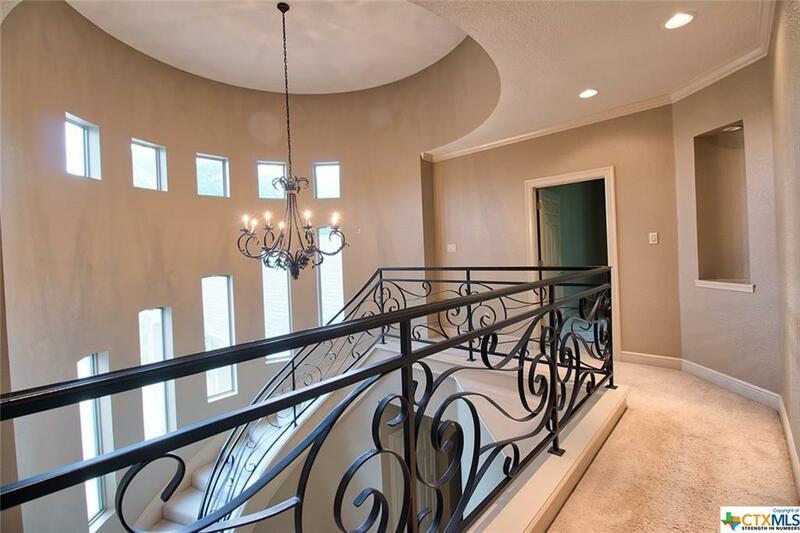 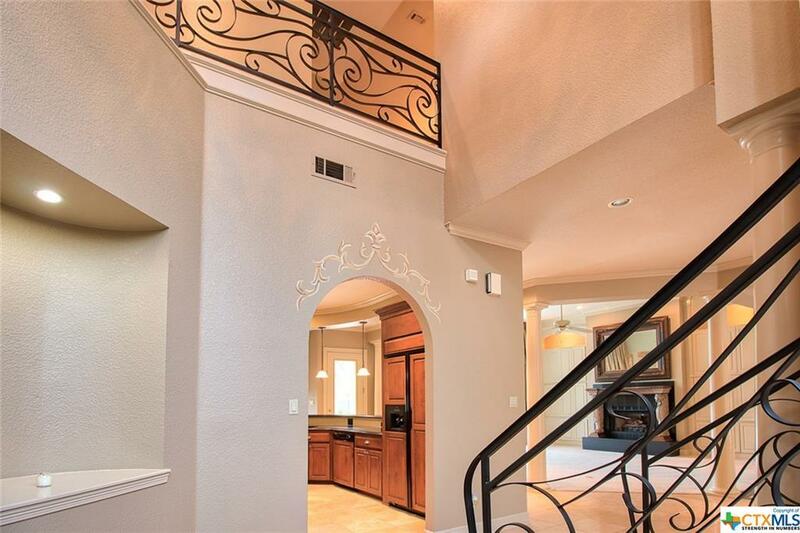 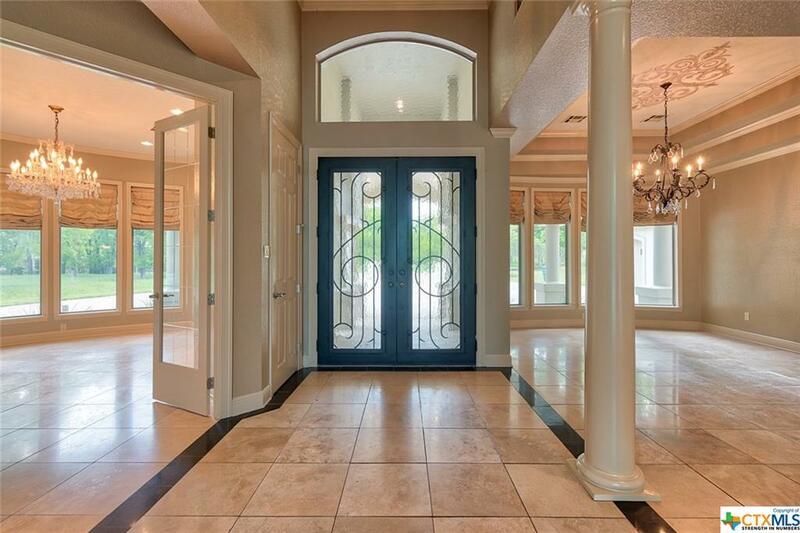 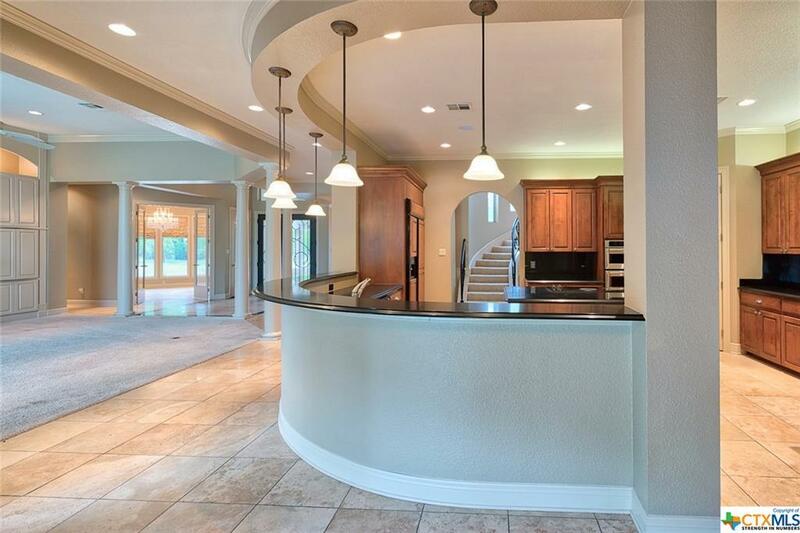 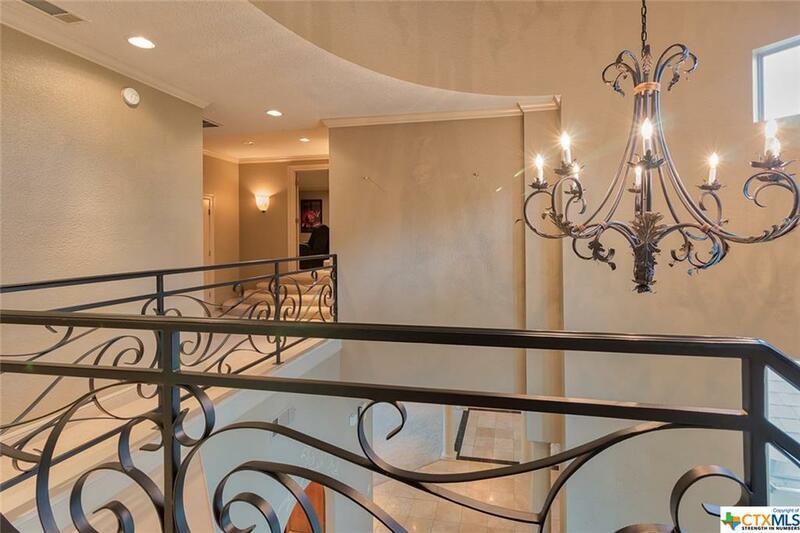 Across the grand foyer is a formal living room. The family room has a beautiful gas fireplace and surround sound. 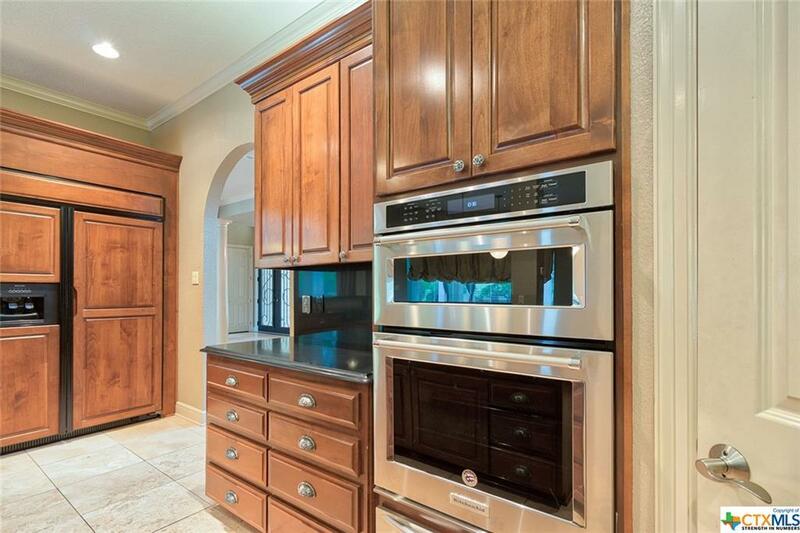 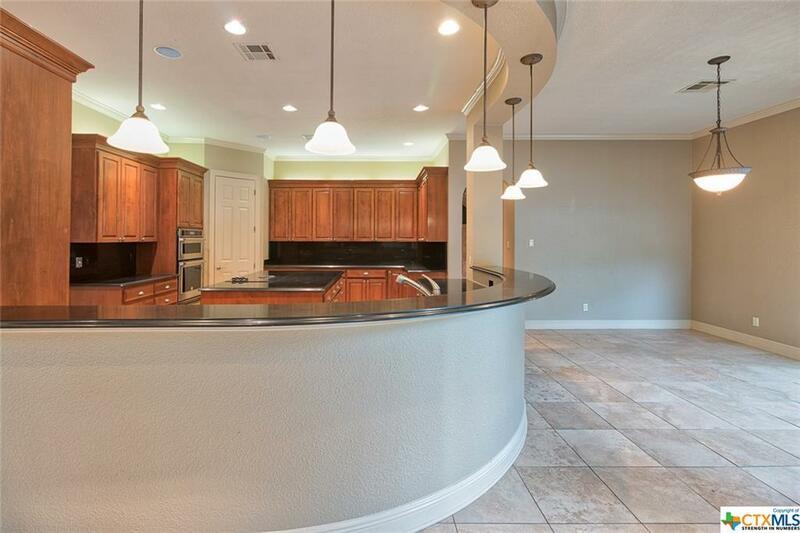 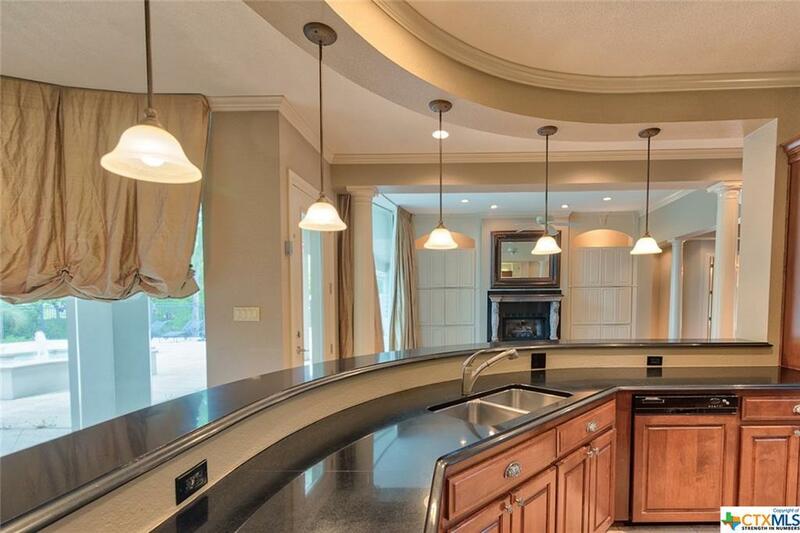 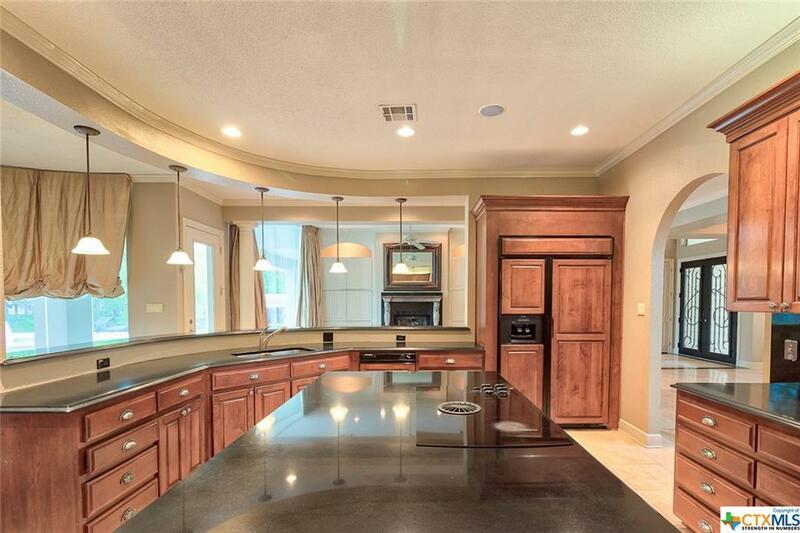 A true gourmet kitchen, this one includes cabinets galore, stainless steel appliances -including the built-in microwave and oven -and a huge island. 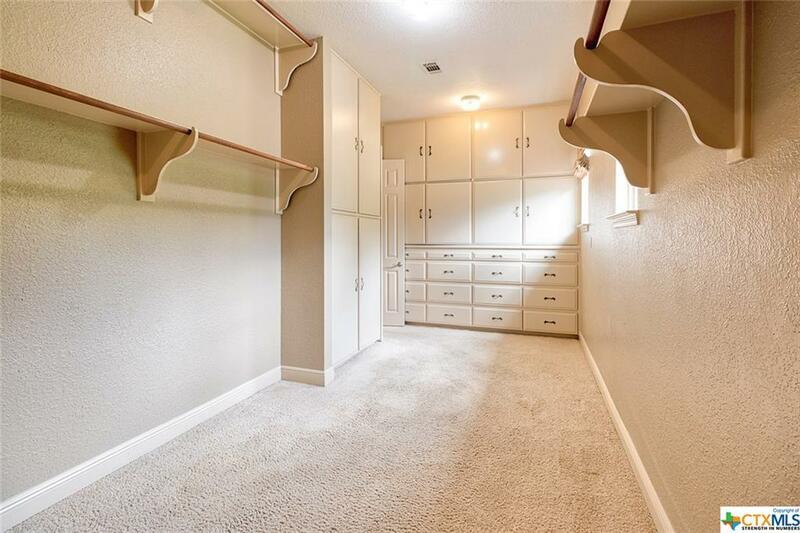 All bedrooms have walk-in closets for great storage solutions. 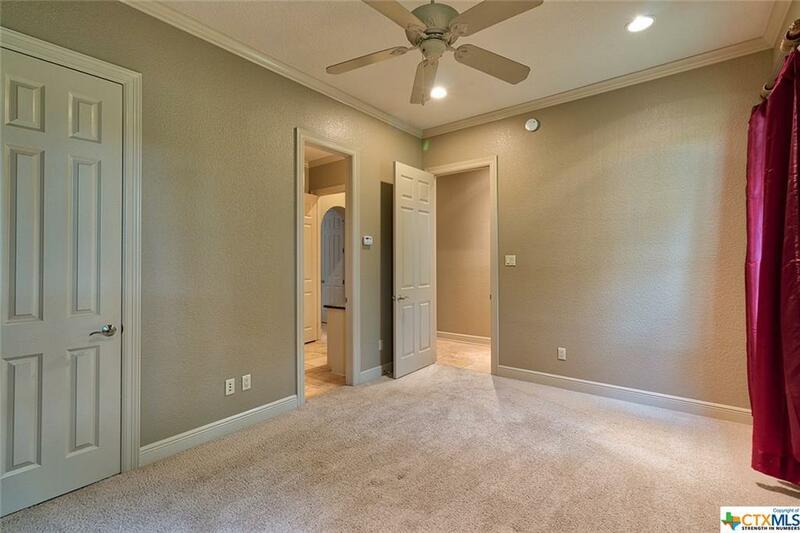 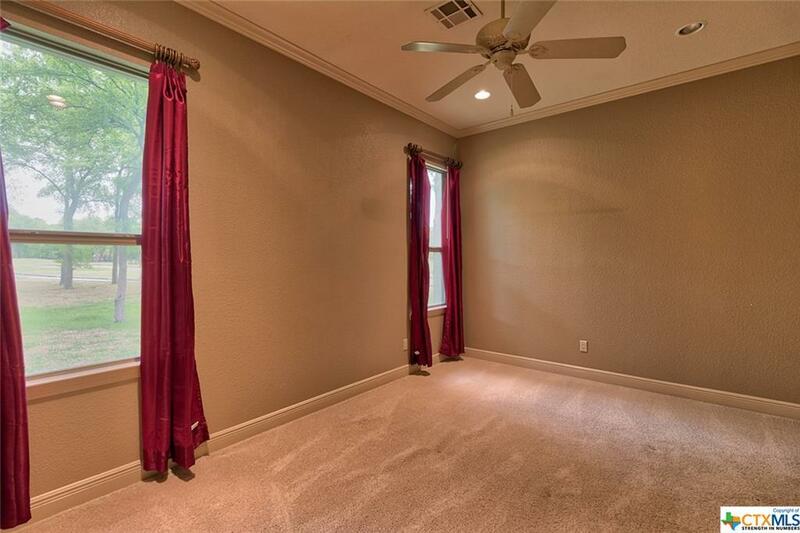 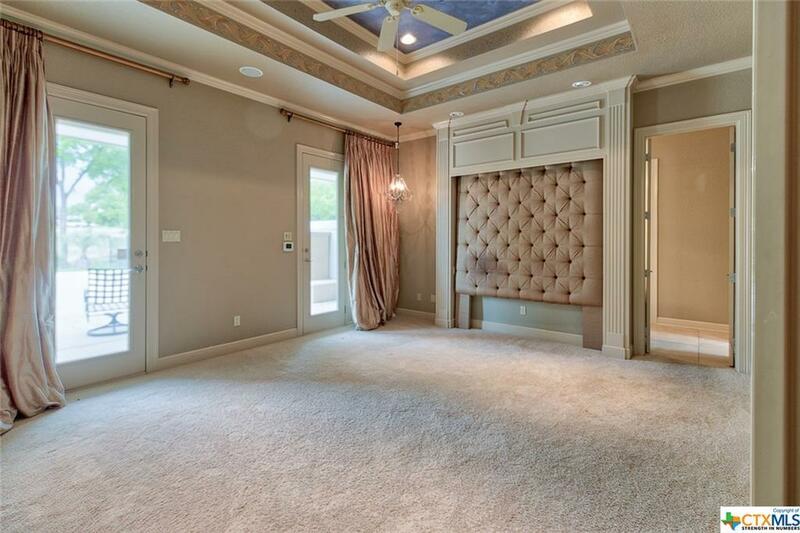 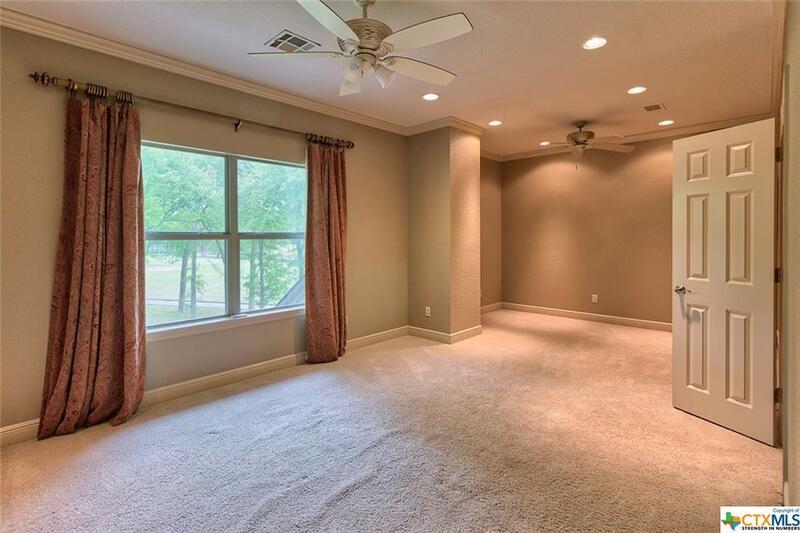 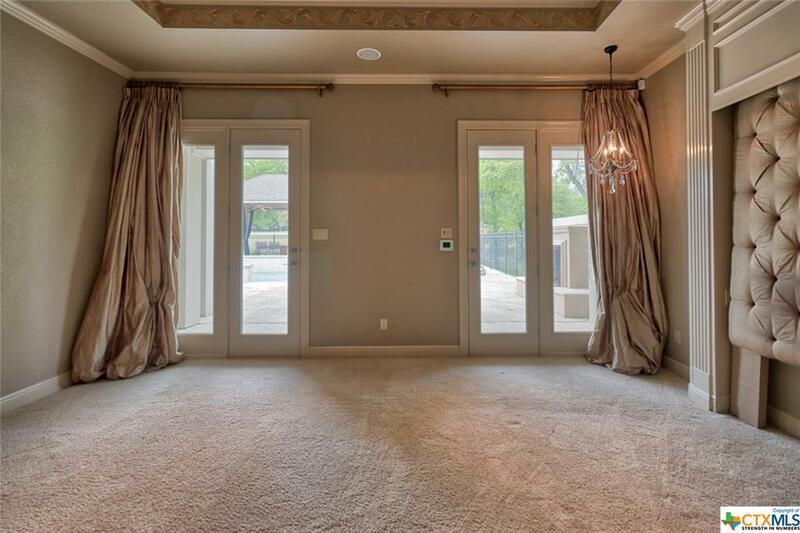 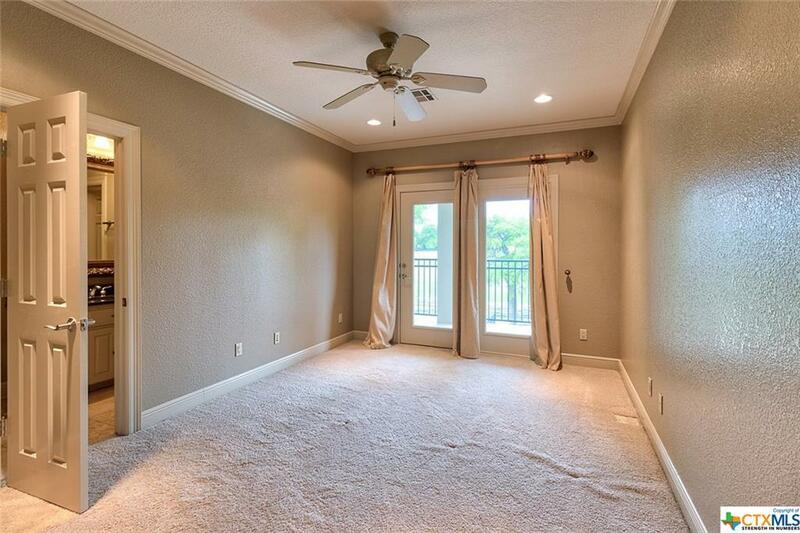 The star of the master suite is the Texas sized walk-in closet that has to be seen to be believed. 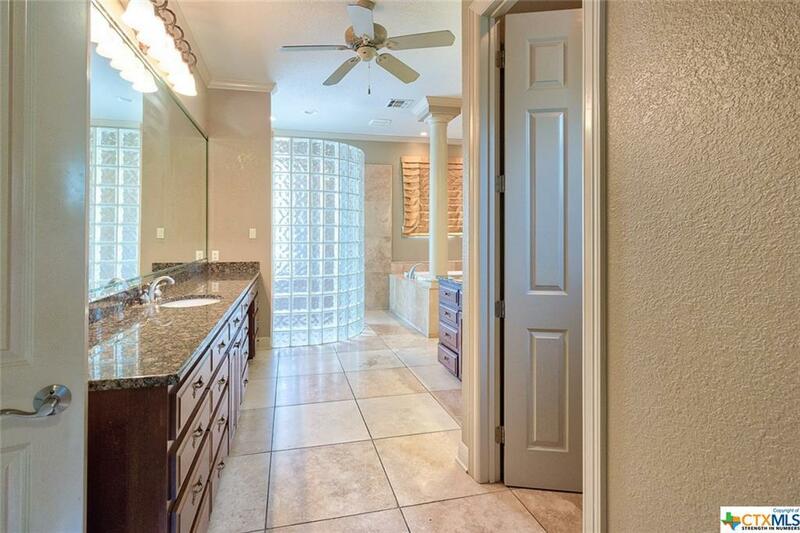 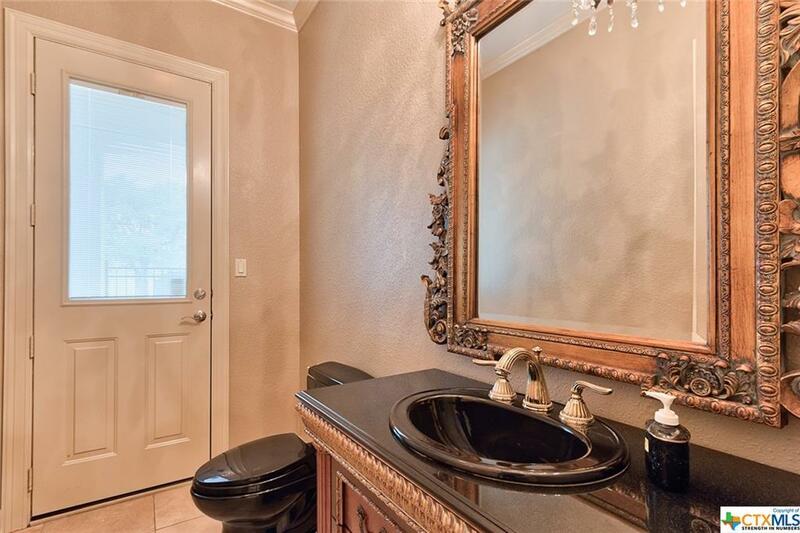 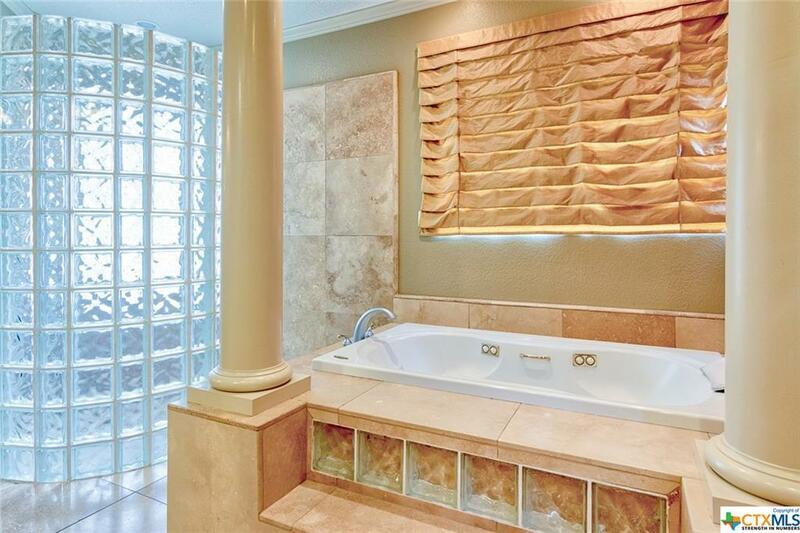 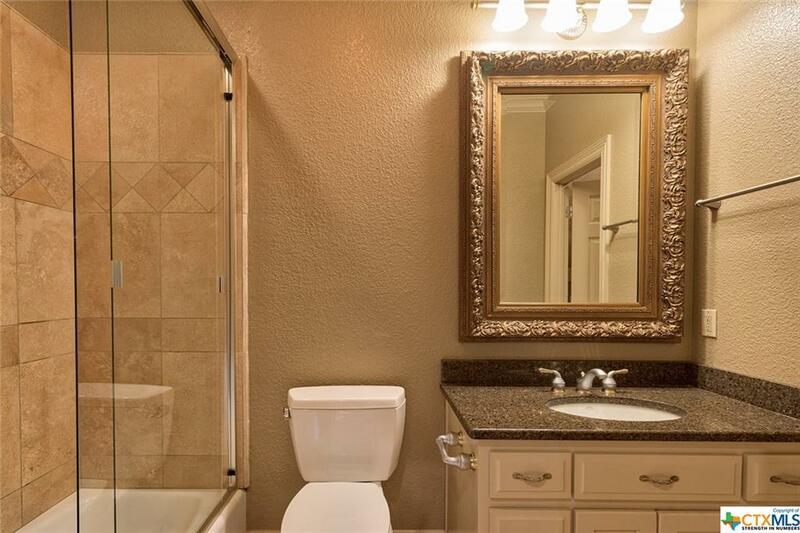 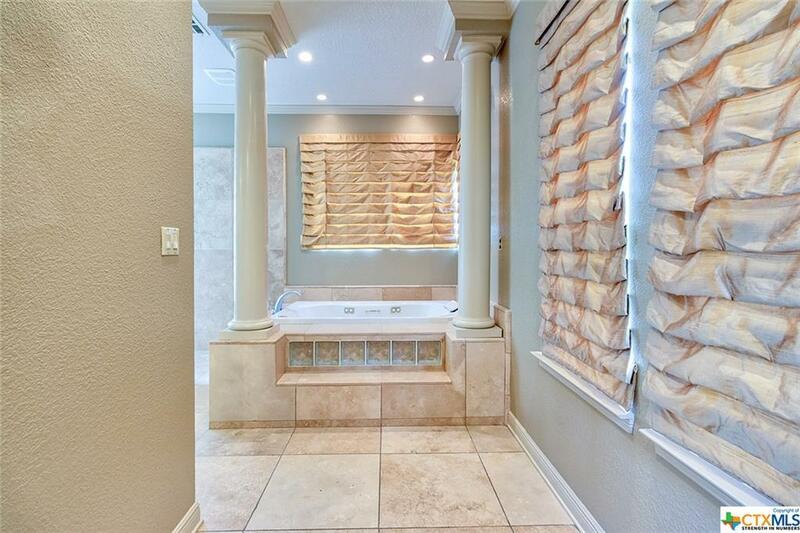 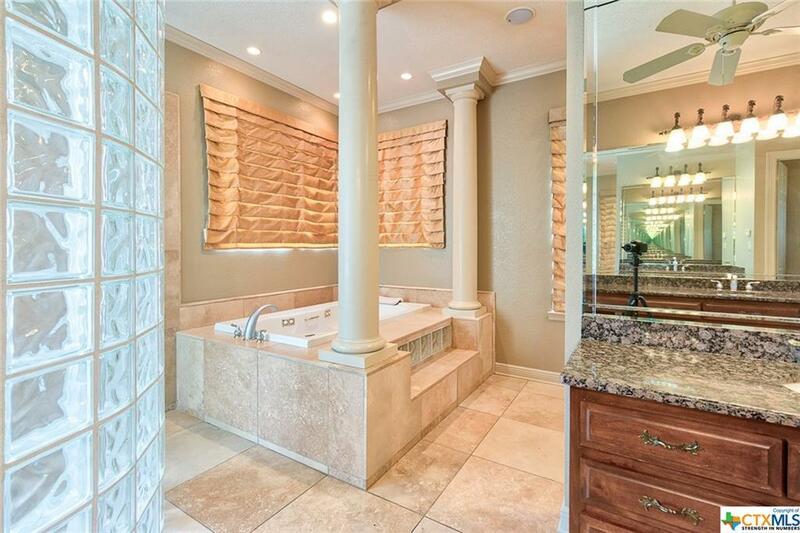 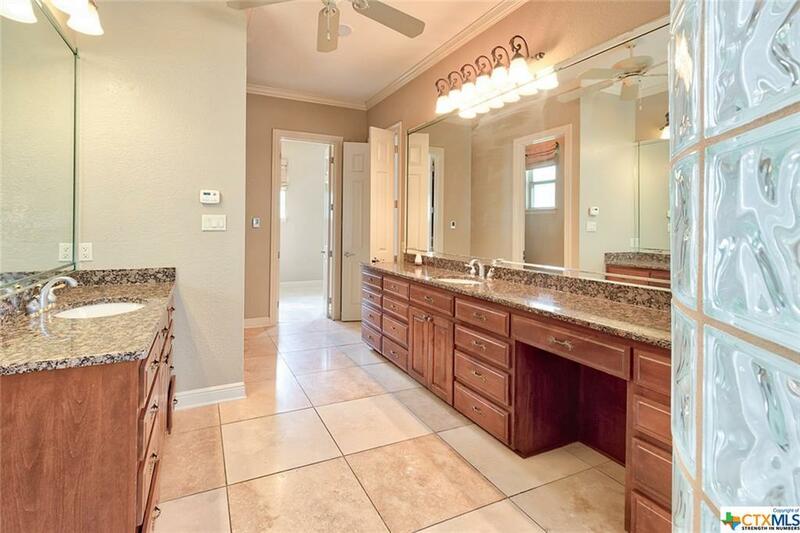 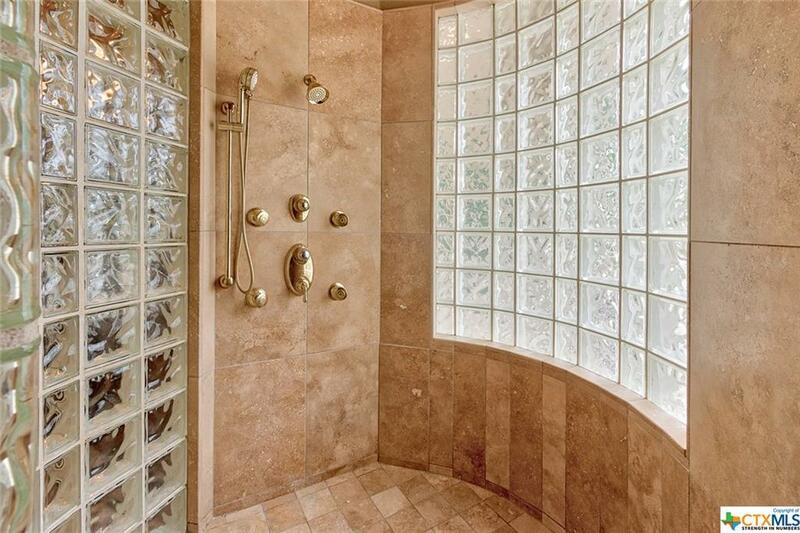 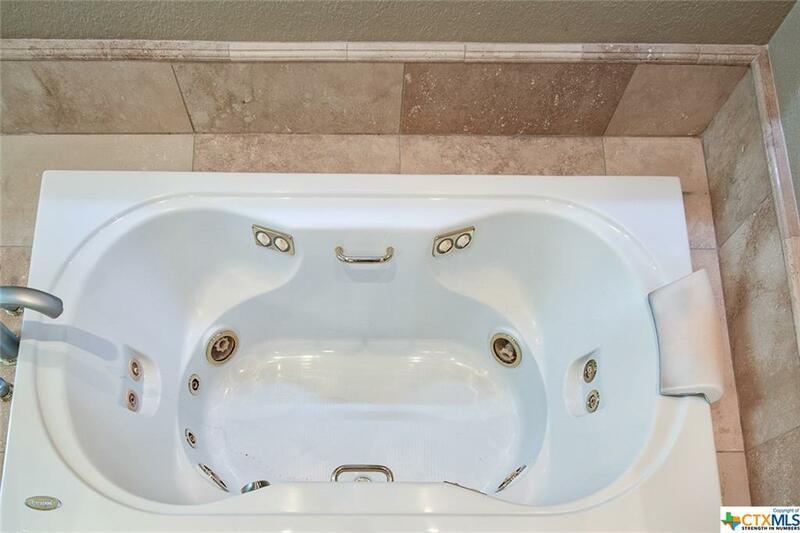 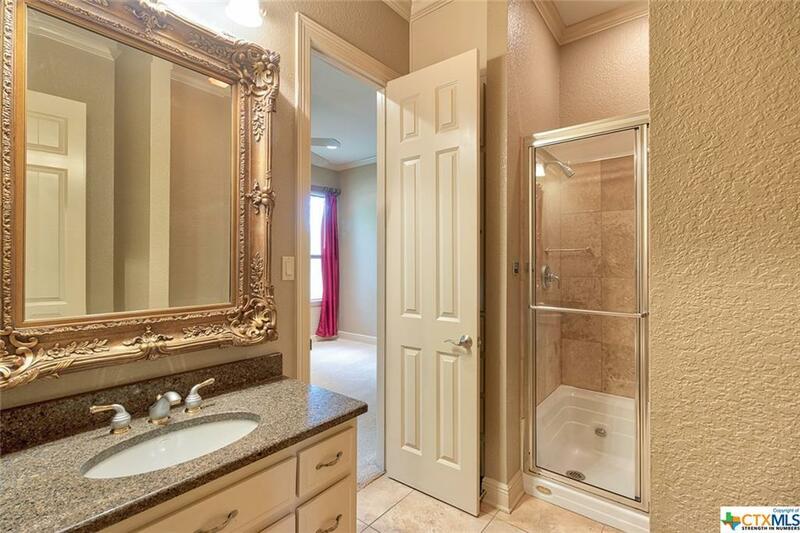 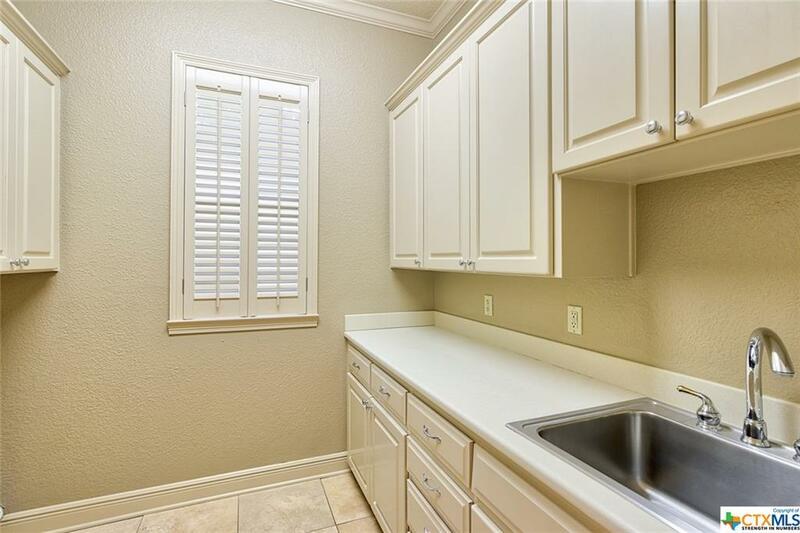 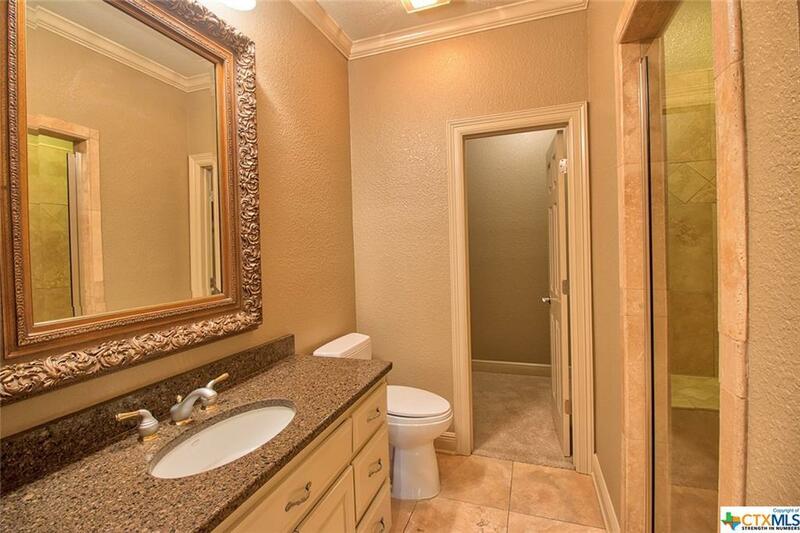 A spa atmosphere can be enjoyed in the master bath with granite vanities, a jetted tub and huge walk-in shower. 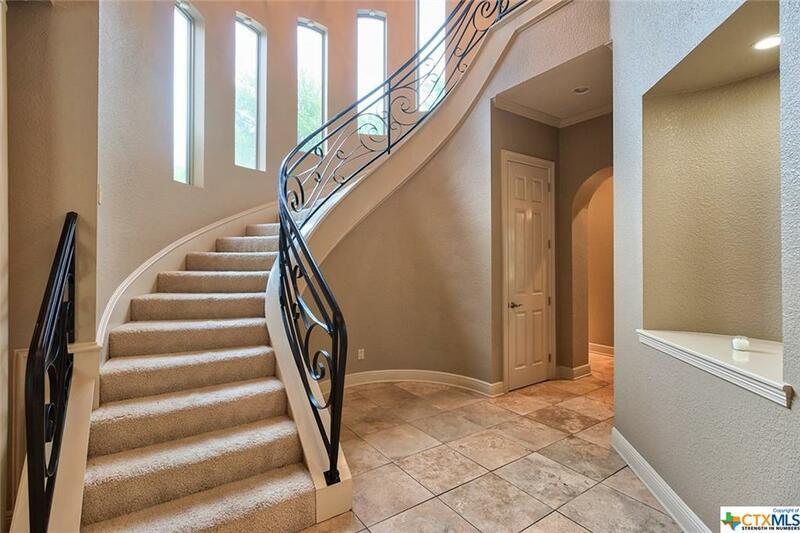 A grand spiral staircase leads to the second floor which is home to the theater room with 8 chairs for maximum enjoyment of movie night. 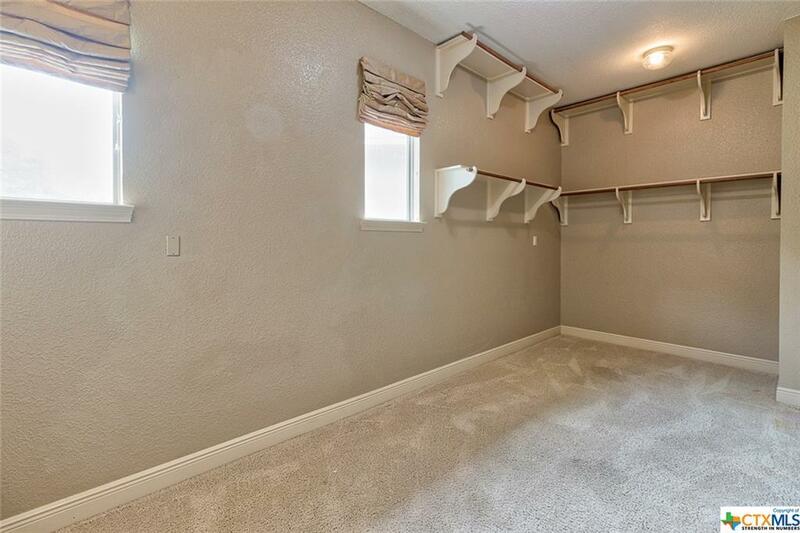 Additional feature 8x8 safe room and office with built-ins.